De toegang met op de achtergrond het Great Cross. 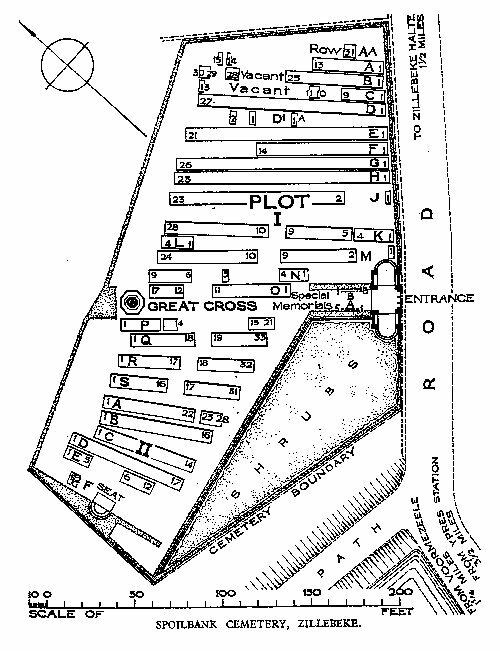 Het grondplan van Spoilbank Cemetery. 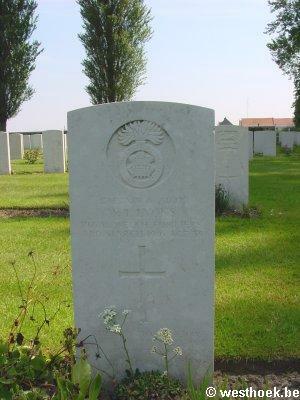 3 officers of the 10th Bn Royal Welsh Fuseliers are buried in Plot I Rij M Graves 4-5-6. 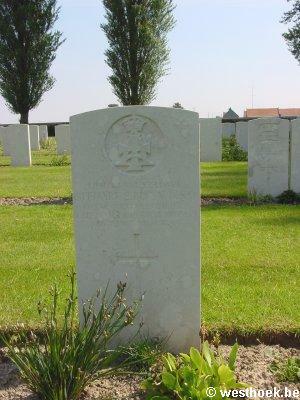 They were killed on March 3, 1916 by a shell on their bn. HQ. 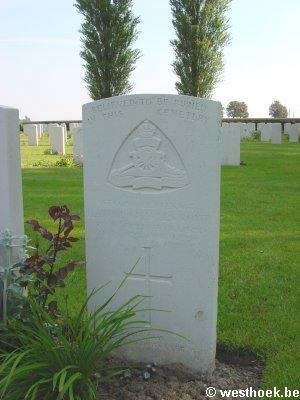 Spoilbank Cemetery is located 4.5 km south east of Ieper town centre, on the Vaartstraat, a road leading from the Komenseweg connecting Ieper to Komen (N336). From Ieper town centre the Komenseweg is located via the Rijselsestraat, through the Rijselpoort (Lille Gate) and crossing the Ieper ring road, towards Armentieres and Lille. The road name then changes to Rijselseweg. 1 km along the Rijselseweg lies the left hand turning onto Komenseweg. 2.3 km along the Komenseweg lies the right hand turning onto Vaartstraat. 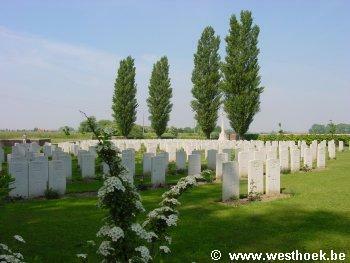 The cemetery is located 1.6 km along the Vaartstraat on the right hand side of the road. 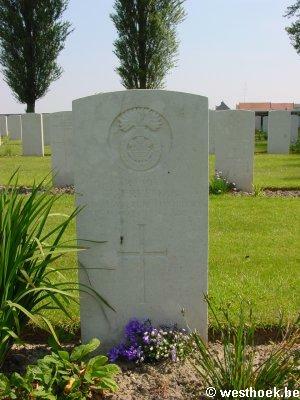 The village and most of the commune of Zillebeke were in British hands during the greater part of the War; but the number of cemeteries in the neighbourhood bears witness to the fierce fighting of which it was the scene, even under conditions of trench warfare, from 1914 to 1918. The Ypres-Comines canal (now disused) ran South-East from Ypres between Zillebeke and Voormezeele; and about 2 kilometres South-West of Zillebeke village, where it approaches the old front line, its bed lies between banks of spoil thrown up when it was made. 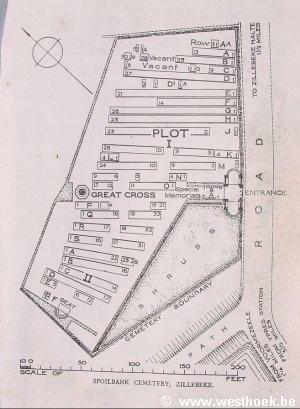 Near the North side of it is "Chester Farm", and near the farm are Chester Farm and Spoilbank Cemeteries, the latter of which was sometimes called Chester Farm Lower Cemetery or Gordon Terrace Cemetery. 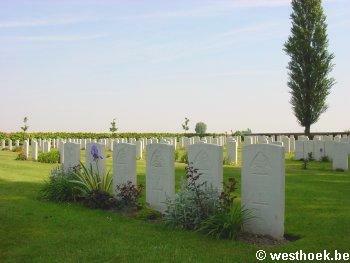 Spoilbank Cemetery was begun in February, 1915, and used by troops holding this sector until March, 1918. 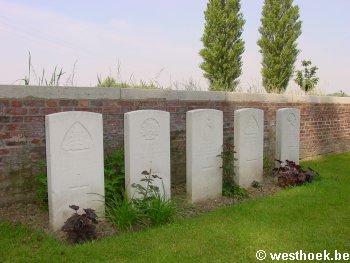 It is particularly associated with the casualties of the 2nd Suffolks on "The Bluff" early in 1916. 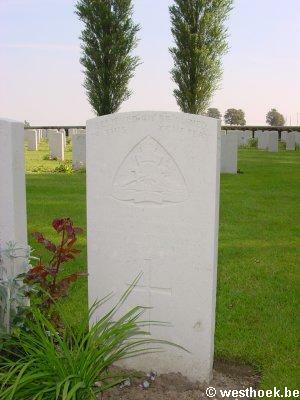 It was enlarged after the Armistice by the concentration of graves from the battlefields of Ypres. 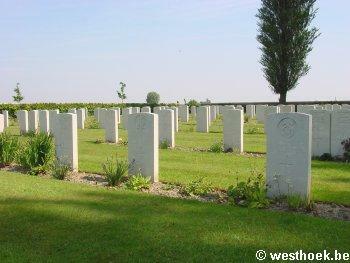 There are now over 500, 1914-18 war casualties commemorated in this site. Of these, over a quarter are unidentified and special memorials are erected to ten soldiers from the United Kingdom and one from Australia, known or believed to be buried among them. 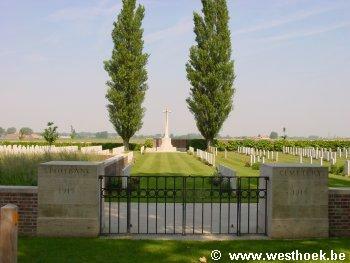 The cemetery covers an area of 4,160 square metres and is enclosed by a curb.